William Matthew "Billy" Currington (born November 19, 1973) is an American country music artist. Signed to Mercury Nashville Records in 2003, he has released four studio albums for the label: 2003's Billy Currington, 2005's Doin' Somethin' Right, 2008's Little Bit of Everything, and 2010's Enjoy Yourself. These four albums have produced nine singles on the Billboard Hot Country Songs charts, including six No. 1 hits "Must Be Doin' Somethin' Right", "Good Directions", "People Are Crazy", "That's How Country Boys Roll", "Pretty Good at Drinkin' Beer", and "Let Me Down Easy". He has also charted as a duet partner on Shania Twain's single "Party For Two" and his own non-album single "Tangled Up", for a total of eleven Top 40 hits. Early life and career edit: Billy Currington was born in Savannah, Georgia, raised in Rincon, Georgia, and currently lives in Nashville, Tennessee. He has four sisters (Lexie, Ann, Kim, and Kellie) and two brothers (Charles and Jason). When he was one and a half years old, his mother married Laurie (Larry) Currington. He also has a Chocolate Lab named Paco. When he was a junior in Effingham County High School (Springfield, Georgia), Currington auditioned for a spot at Opryland, the renowned country music theme park located in Nashville, Tennessee, the country music capital. Failing the audition, after high school he moved to Nashville to pursue his career in country music. His first stint did not last too long, and he later sang for a bar named Cavalier Country Club in Georgia. In Nashville, Currington also worked for a concrete company, and as a personal trainer. One of the clients he worked with as a personal trainer led Currington to recording demo tapes, as well as writing songs. He eventually had cuts by George Strait, Tracy Byrd, and Marty Raybon. After almost being offered to join RCA Records, he signed to Mercury Records in 2003. Currington founded the Global South Relief organization which delivers supplies to those in need in Central American countries. 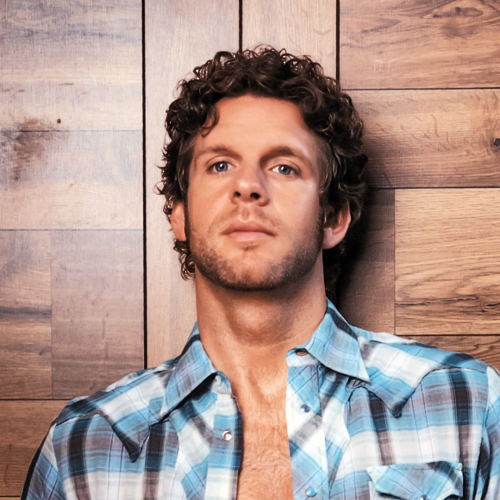 Musical career edit: Billy Currington edit: His self-titled debut album was released in 2003. The first single was "Walk a Little Straighter" about his relationship with his alcoholic stepfather, including a chorus that Currington wrote when he was twelve years old. "Walk a Little Straighter" went on to peak at No. 8 that year on the Hot Country Singles & Tracks chart and established Currington as a major Country performer in Nashville. He first hit the Top 5 on the country charts with his second single, "I Got a Feelin'", also from his debut album. He scored a third consecutive top 10 hit with Shania Twain in late 2004, on the song "Party for Two". The song was from Twain's Greatest Hits album and was released in two formats: a pop version with Mark McGrath as Twain's duet partner, and the country version, which featured Currington. Doin' Somethin' Right edit: In 2005, Currington released a second album entitled Doin' Somethin' Right, which peaked at No. 2 on the Top Country Albums chart and No. 11 on the Billboard 200. Doin' Somethin' Right produced his first Number One in "Must Be Doin' Somethin' Right", followed by "Why, Why, Why" at No. 13 and another Number One in "Good Directions". Co-written by Capitol Records artist Luke Bryan, the latter was the No. 2 country song of 2007 according to the Billboard Year-End charts. Doin' Somethin' Right is certified platinum by the RIAA. Doin' Somethin' Right also featured "Lucille" which was a song Currington covered from original artist Kenny Rogers. Little Bit of Everything edit: On July 19, 2007, Currington announced he had cancelled the rest of his tour dates for the year because of laryngitis. His 2007 single, "Tangled Up", peaked at No. 30 in late 2007, and his third album was delayed. He also had to undergo therapy due to trauma induced by the abuse that he suffered as a child. He was absent from the charts for nearly a year before the release of his next single, "Don't", in mid-2008. It was the first single from his third studio album, Little Bit of Everything, which was released on October 14. Currington co-wrote five of the songs on this album. "Don't" peaked at No. 2 on the country charts in early 2009. "People Are Crazy", co-written by Bobby Braddock and Troy Jones, was released as the second single from the album in March 2009 and this became his third Number One hit in July 2009. The third single to be issued, "That's How Country Boys Roll" became his fourth Number One hit in March 2010. The song was the first that Billy shared writing credit on to reach Number One. On August 1, 2009, Billy Currington suffered a concussion at the Big Valley Jamboree in Camrose, Alberta after the stage on which he was performing collapsed during a massive wind storm that also injured Currington's bass guitarist and killed a spectator. Enjoy Yourself edit: In May 2010, he released his tenth solo single overall, "Pretty Good at Drinkin' Beer", which hit No. 1 in September. Also written by Troy Jones, it was the first single from his fourth studio album, entitled Enjoy Yourself---which was released on September 21, 2010. The album's second single "Let Me Down Easy" went to radio on October 4, 2010 and reached No. 1 in 2011. The album's third single "Love Done Gone" released to country radio on April 18, 2011 and reached No. 11 later that year. The album's fourth single "Like My Dog" released to country radio on October 10, 2011 and peaked at No. 24 in 2012. Fifth studio album edit: The first single from Currington's fifth studio album, "Hey Girl", was released to country radio in March 2013. Awards and nominations edit: Year Association Category Result 2006 CMT Music Awards Hottest Video of the Year -- "Must Be Doin' Something Right" Won 2010 Grammy Award Male Country Vocal Performance -- "People Are Crazy" Nominated Academy of Country Music Single Record of the Year -- "People Are Crazy" Nominated Song of the Year -- "People Are Crazy" Nominated Felony Indictment edit: On April 24, 2013, the Chatham County, Georgia Grand Jury indicted Mr Currington on felony criminal charges of "abuse of an elder person by inflicting mental anguish" and "making terroristic threats". Both criminal charges stem from an incident involving boat captain Charles Harvey Ferrelle on April 15, 2013. The indictment alleges Currington made terrorist threats to Ferrelle. Currington was later released from a Georgia jail after posting $27,700 bond. If convicted, Currington faces a prison term of 1 to 5 years. Also, on April 26, 2013, as a result of negative press surrounding the indictment incident, the Charlotte Motor Speedway replaced Currington as a performer for its All Star pre-race entertainment.